Kevin Pauwels is looking real good like at the moment. Lots of power in the legs and his bike driving/line choices have been on point. Perfect example shown here in Kalmthout. For episode 2.12, #SVENNESS travels to Kalmthout, Belgium, for Vlaamse Industrieprijs Bosduin. The race is held at night, under the lights. The course is flat and fast with three short sets of stairs and one set of planks. Lars van der Haar sets the pace from the start and Kevin Pauwels emerges from his early season anonymity to animate the race. We briefly focus on three hotly debated topics: riding vs. running barriers, saddle position when carrying, and remount technique. Then it’s on to the final laps, and some exciting tactical riding between the leading pair. Also included is a bit of bonus coverage highlighting the last lap of the U23 race. It is safe to say that the future of world class cyclocross is in a good place. Hat tip to John Verheul @Jverheul and @JBVCoaching for the Albert start line tip. #SVENNESS 2.12 from In The Crosshairs on Vimeo. This episode is brought to you by Skills Drills and Bellyaches: A Cyclocross Primer. It’s never too early to start drilling for next year. This book gives you the know how. Available at cyclocrossbook.com. The episode is also sponsored by CrossVegas. Come to Vegas September 10, 2014, for the 8th annual CrossVegas cyclocross race. See the stars under the stars. 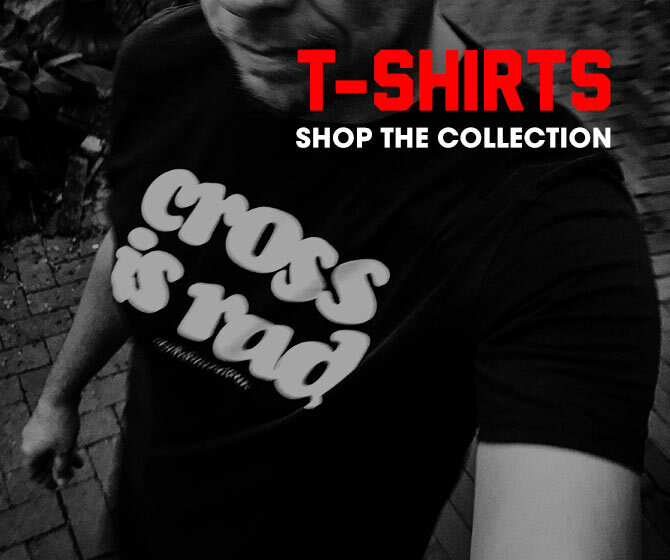 Visit www.crossvegas.com.